The Bushnell Ranger is a professional-quality night vision binocular designed to provide high definition viewing in nearly total darkness. It operates by amplifying existing light using an Electro-Optical system. Many active night vision devices require an artificial infrared light source. The Bushnell Ranger is an extremely sensitive passive starlight device - an external light source is not required for most applications. It has a built-in Infrared Illuminator which can provide additional ‘invisible’ lighting to enhance viewing at distances up to 100 yds. while not disclosing your location. 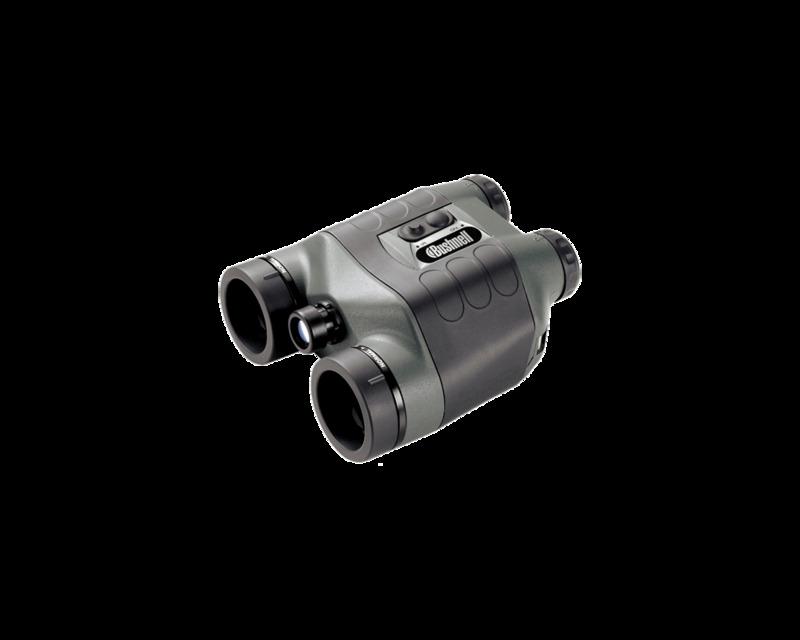 2.5x magnification which offers an optimum balance between the factors of image stability, a wider field of vision, amount of light captured and magnification. A greater degree of magnification would reduce the field of vision and be more difficult to hold steady. 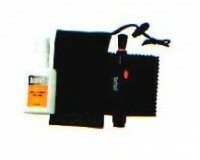 It would also reduce the amount of light captured, thus affecting the performance. 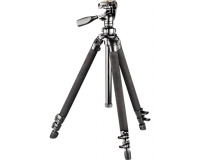 It is constructed of two separate Electro-Optical assemblies mounted in a water resistant polycarbonate and rubber housing containing an exclusive tripod mount. 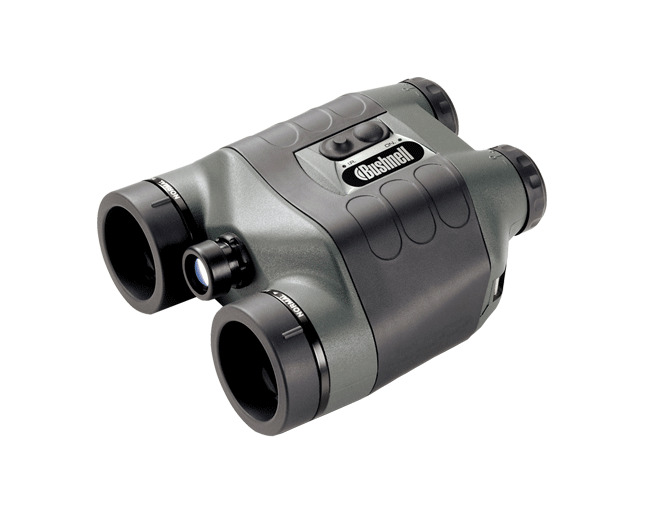 At 794 g, the Bushnell Ranger is the lightest night vision binocular available today. The entire unit is ruggedized for extreme field conditions. It is entirely self-contained and can operate for up to 20 hours at temperatures ranging from -22°F to 104°F.